This potato salad is a classic with a twist. Vary the seasoning by adding more curry powder, or substitute for fresh dill, parsley or cilantro. 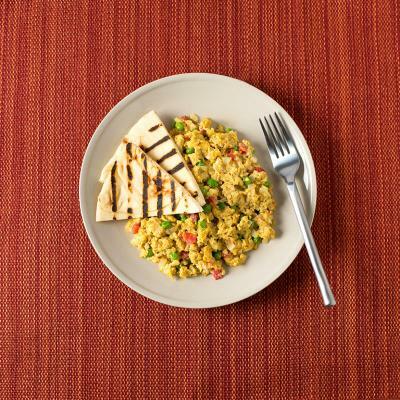 A quick and easy recipe for your next picnic, potluck or weekday dinner. Meanwhile, chop four eggs. Slice remaining two eggs into wedges for garnish; set aside. Drain potatoes well when cooked. 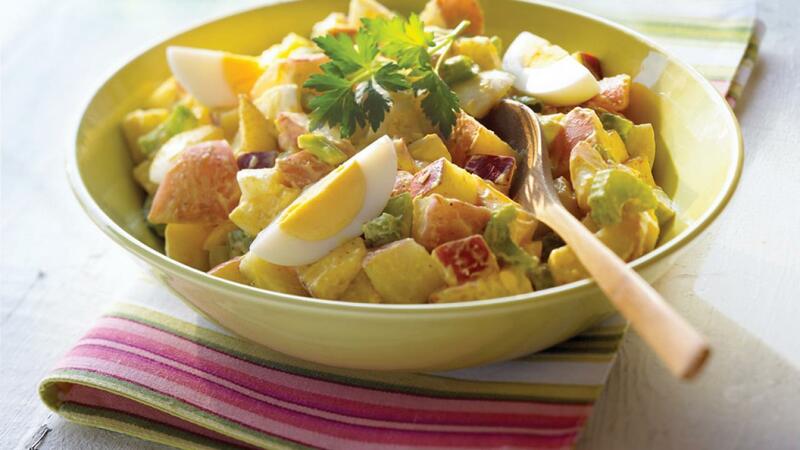 Combine chopped eggs, potatoes, apples, celery and green onion in large bowl. Whisk yogurt, mayonnaise, vinegar, curry powder, salt and pepper in small bowl. Pour dressing over potato mixture. Gently stir to coat well. Curry powder can be replaced with 1 tbsp (15 mL) chopped fresh dill, parsley or cilantro.